3000 miles north & back: Lasagna! On Friday night I asked Matt what he wanted for dinner Saturday. I knew I would have the whole afternoon to make a meal (after spending the morning watching the Hawkeyes win lose). When Matt responded with "something Italian," I decided to go out of the regular spaghetti box and make lasagna. I have never made lasagna before but was ready for the challenge. I began by looking in my fridge to see what ingredients I already had and which ingredients I needed to purchase. Luckily, I only needed to purchase mozzarella cheese and lasagna noodles. 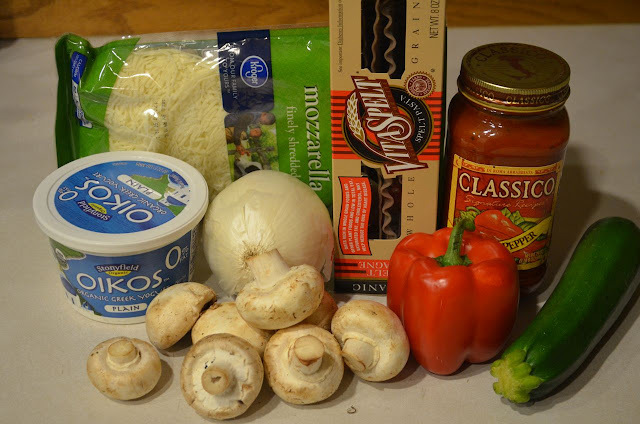 A quick walk to the store (Fred Meyer is right by my house) and back and I was ready to begin the lasagna making process. 2. 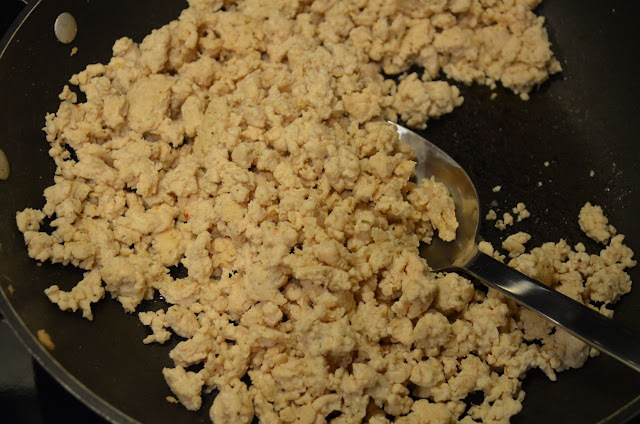 While noodles are cooking, brown ground turkey breast. Set aside. 3. To prepare sauce mixture, chop onion and add to sautee pan with chopped garlic. Sautee on medium until onions are translucent. Dice mushrooms and pepper and add to onion and garlic. 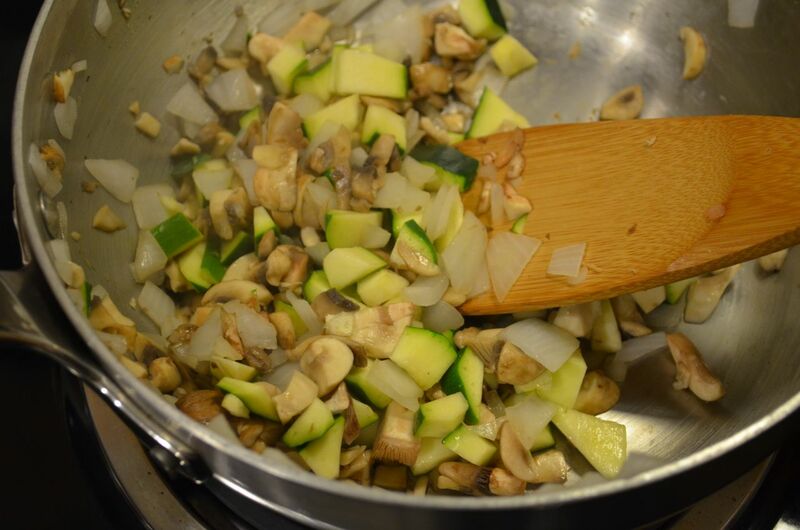 When mushrooms are slightly browned, add diced zucchini. Immediately, add spaghetti sauce and turn heat to low. 4. 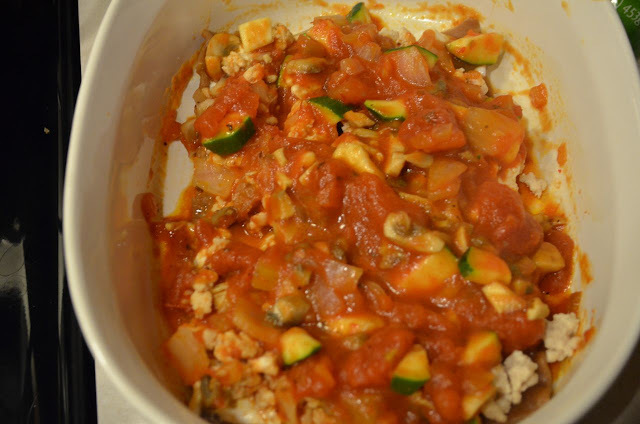 Pour a very small amount of sauce in bottom of oven safe baking dish. 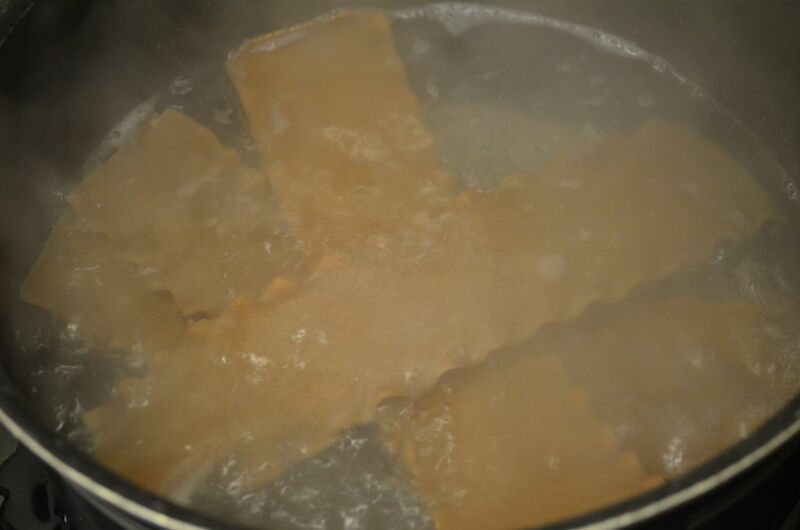 Lay down single layer of noodles. Smear layer of greek yogurt on top of noodles and then sprinkle browned ground turkey breast on top of yogurt. Pour sauce mixture over the turkey breast. Sprinkle mozzarella cheese over ground turkey breast. (Repeat process once). 5. 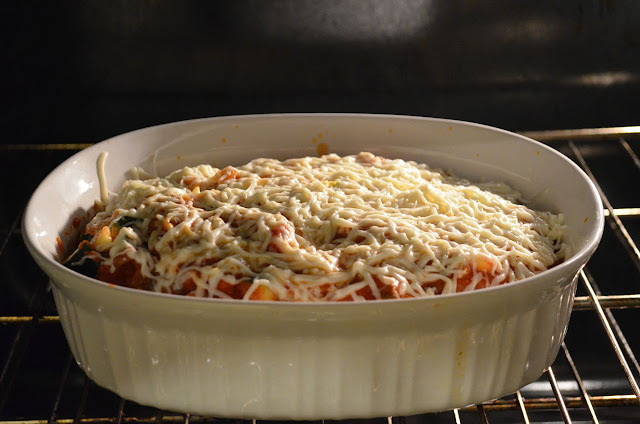 Bake lasagna for 25-30 minutes in a 400 degree oven. Remove and let sit for about 10 minutes or until ready to eat (allowing the lasagna to sit will allow juices to soak back into lasagna = less runny). Simple ingredients = simple meal (and EXCELLENT leftovers). When boiling the noodles, be careful not to over cook. Since the noodles will cook again when the dish is placed in the oven, undercooked noodles work very well with this dish. 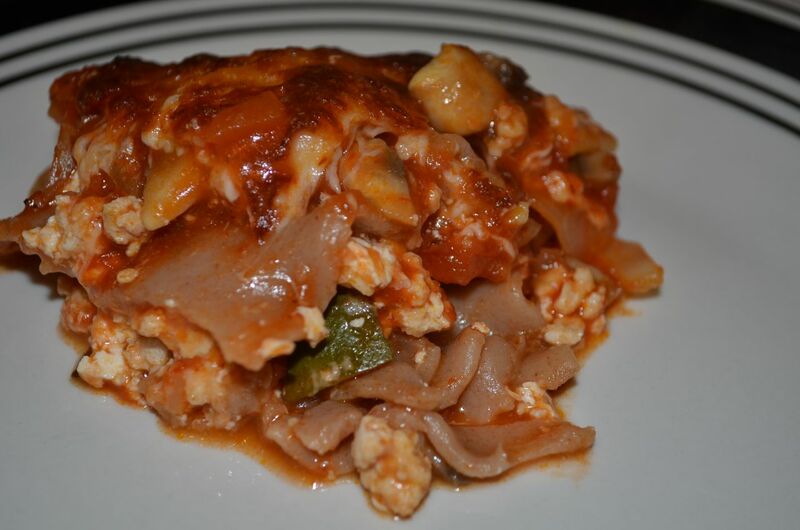 One great thing about this dish is that you can use a number of different veggies in the sauce. If you decide to go meatless, more veggies would be a nice complement to the dish. Are you a fan of eggplant? I would love to try eggplant in place of the ground turkey breast. I think the eggplant would bring out a different flavor but still compliment the veggie sauce. 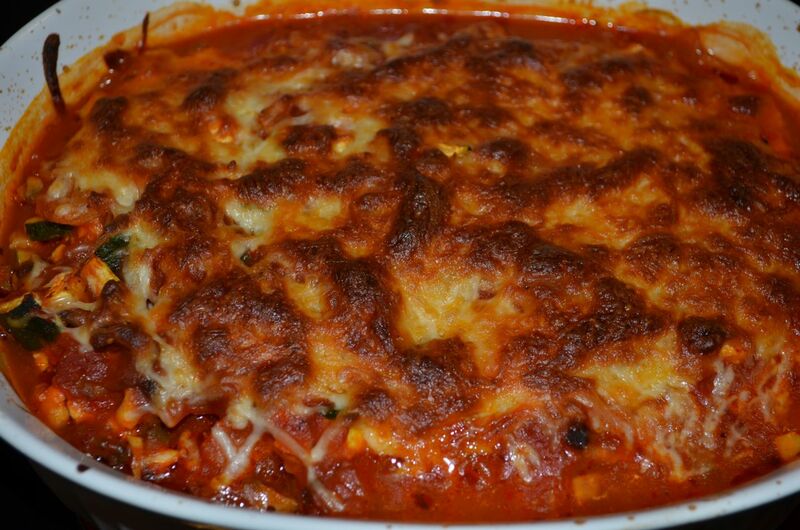 Perhaps my next lasagna adventure? 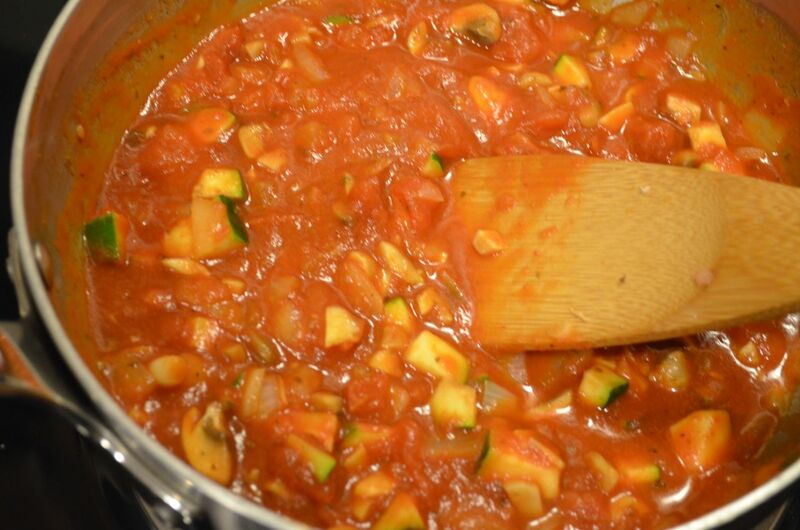 Add the sauce to the sauteed vegetables. 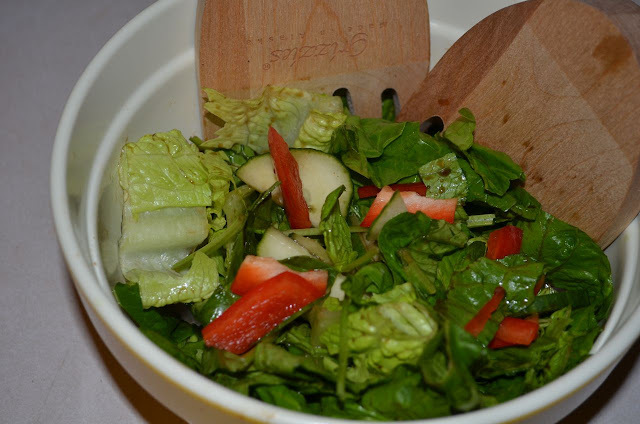 Layering the ingredients is really quite easy. I was careful to pour just enough sauce to cover the first layer of noodles/yogurt/meat, but decided to dump the rest of the sauce over the second layer of noodles/yogurt/meat. 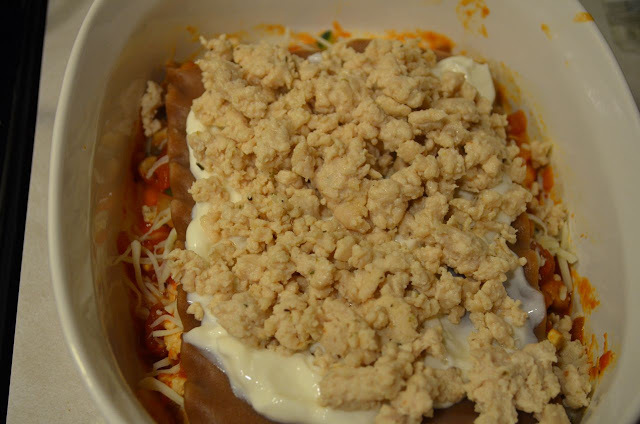 The cheese on top of the lasagna will become golden and bubbly when finished. 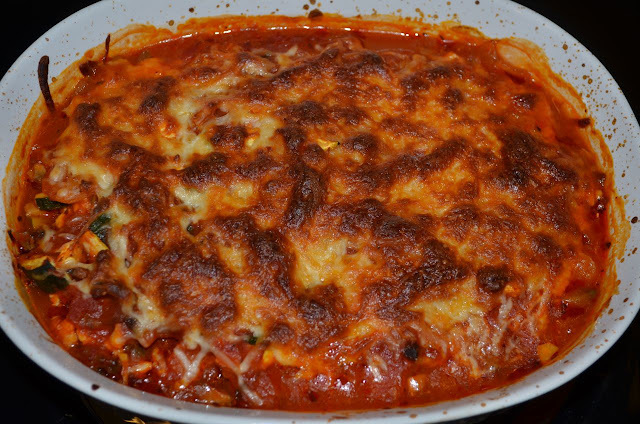 I was tempted to take the lasagna out before the 30 minutes passed; however, I am glad I didn't because I think keeping the lasagna in the oven longer helped reduce lasagna "runniness". 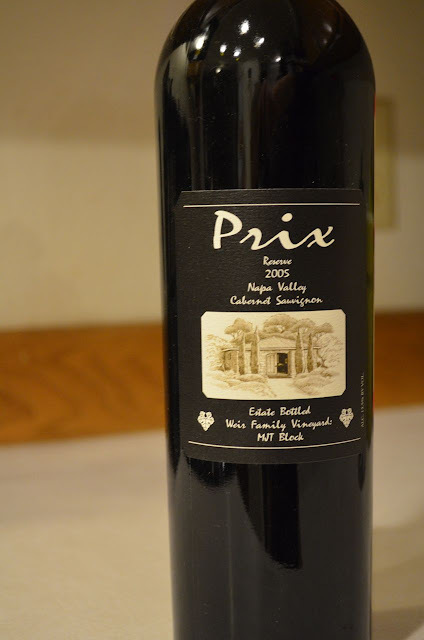 ...and a bottle of wine from my favorite winery in Napa, CA. Yum! You can totally notice the meat, greek yogurt (which tastes EXACTLY like ricotta cheese) and vegetables, beautifully layered, ready for consumption.